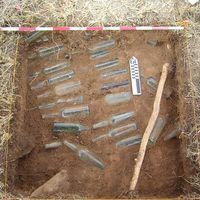 Archaeological Services – Scientific Consultant Services, Inc.
Archaeological Monitoring has been an important part of Culture Resource Management in Hawai`i, particularly over the past 15 years. Monitoring includes identification, mitigation, or post-mitigation contingency measures and entails the observation of, and possible intervention with, on-going activities which may adversely affect historic properties. Construction Monitoring is an important area in which SCS has successfully assisted in the protection of significant cultural resources. 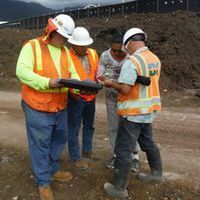 As highways, golf courses, government infrastructure projects, and housing developments are built or modified, SCS has worked closely with the client, contracting firm, and the state’s regulatory officials to mitigate any adverse impact on archaeological sites. 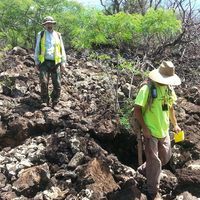 SCS has conducted hundreds of Archaeological Inventory Survey projects in Hawai`i. The AIS, as it is commonly called, is the first level of documentation in a project area. The goal of the AIS is to identify the presence/absence of historic properties (i.e., archaeological or cultural sites) in a project area and to determine their significance. An AIS encompasses background/archival research, field survey and testing (as needed), mapping and site recording, evaluating sites for their significance, and completion of an AIS report acceptable to the State Historic Preservation Division (SHPD). If AIS-level work is completed and no sites are identified, a short form Archaeological Assessment (AA) report is written and submitted to the SHPD for review. The AA concludes that no sites occur in a project area or sites are unlikely to be present. Data Recovery is required if historic properties are found to be significant under one or more criteria and additional information on the age and nature of the site still requires investigation. Data Recovery is a form of mitigation that archaeologically records or recovers an adequate amount of information from a significant historic property. Data Recovery is primarily an excavation strategy to gain more knowledge about a site that was identified and recorded during AIS work. Data Recovery also more clearly defines the significance of a site, or group of sites, in a project area. 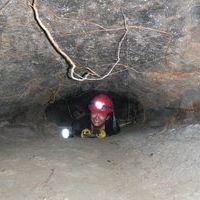 Prior to this fieldwork, a Data Recovery Plan is written outlining the sites to be investigated and the methods to be used to further study the site. This Plan is submitted to the SHPD for acceptance prior to fieldwork. SCS has conducted Data Recovery in many locations of the state from the U.S. Army Garrison to individual lot owners. SCS has conducted numerous burial treatment projects in the islands, in consultation with local lineal and cultural descendents, as well as local communities and the state. Both inadvertent discoveries (during Monitoring) and previously identified burials (found during AIS work) have been cared for on many projects, particularly those that occur in sandy contexts around the islands. Proper treatment of these culturally sensitive sites is one of the most important duties for an archaeologist working in Hawaii. SCS has conducted Cultural Impact Assessments (CIA) for the past 10+ years on all islands. A CIA is a report which documents Native Hawaiian cultural values, interests, and associations. 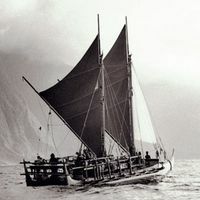 Most importantly, these documents assess the potential impact of a project on Native Hawaiian cultural practices in the area. Data is acquired through consultation (interviews) with knowledgeable members of the community wherein the project is proposed to community groups and other interested parties. Data for the study is also acquired via historical documents (archival research) and archaeological research. A CIA directly involves the community in which a project is proposed.